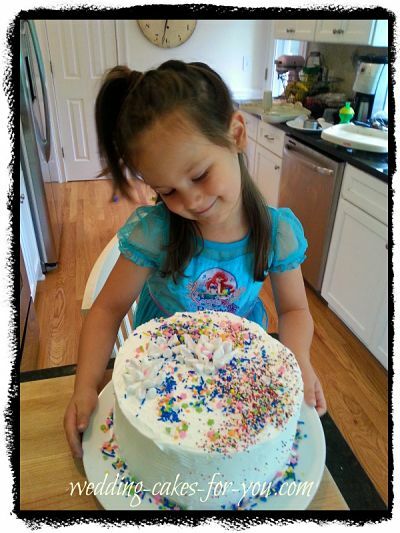 You are about to discover the simple deliciousness of the Confetti Cake Recipe. This recipe is made using any white or yellow cake with the addition of a large dose of sprinkles tossed in and folded during the final step. 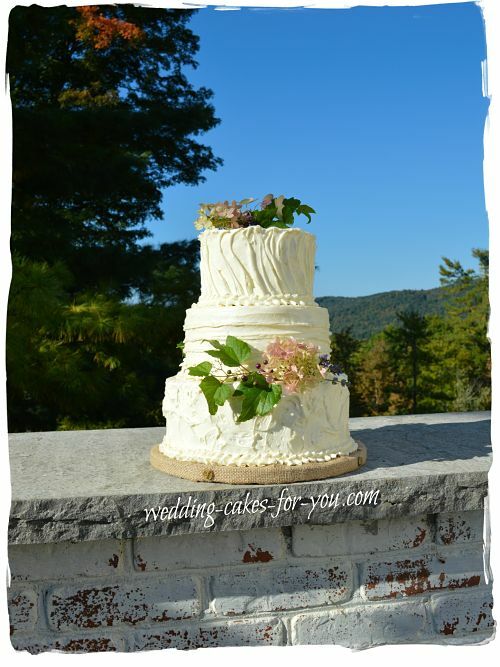 I have two white cake recipes that will work perfectly right here in this website. Here is a video that you can follow. The recipe is located here for you. Just fold in the sprinkles during the last step. The best place to find confetti or sprinkles is your local grocery store near the ice cream and ice cream cones in the frozen department. After searching high and low I found this the best place to get the type and size container I was looking for. So easy a 3 year old can decorate it! Using a variety of sprinkles, including Jimmies, which are the type that you see on ice cream cones turned out to be the best combination. 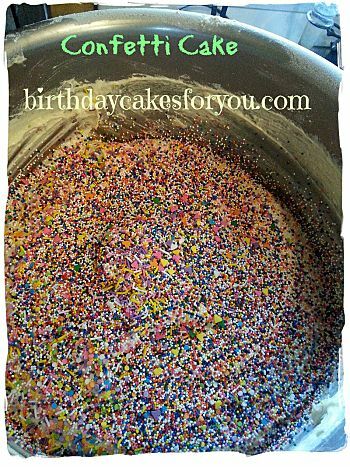 Here is a photo of the batter with the colorful sprinkles on top before folding them in. ﻿ For this recipe I used 1/3 cup, but feel free to add more or less. You will be adding them at the very end and folding them gently into the mixture. If you are too rough or if you mix it too vigorously the little tiny candies will melt into the batter. NOTE: There will be some melting, don't worry, it still looks very pretty after it bakes. What I love about this recipe is the slightly crunchy texture that is produced by the confetti. Here is what the layers will look like after they are baked. You can see that some of the sprinkles did indeed melt into the cake a little. The Jimmies were the first to break down. It didn't seem to matter. When the cakes are sliced they look and taste beautiful and delicious. 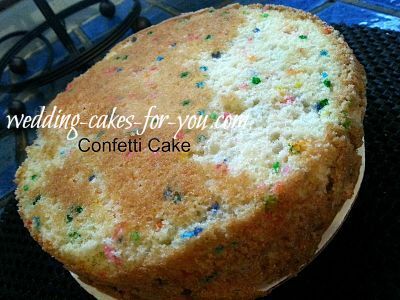 You can fill your confetti cakes with anything that you would normally use to fill a white cake with.